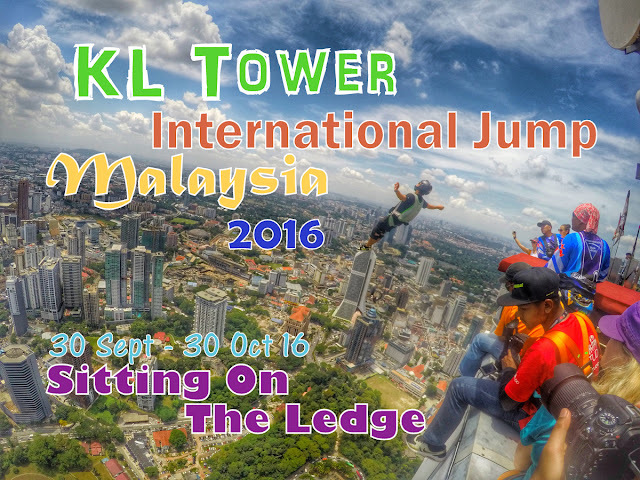 For four days started yesterday, there is an event called KL Tower International Jump Malaysia 2016 which takes place in Kuala Lumpur Tower or known as Menara KL, which is the the seventh tallest telecommunication tower in the world and the tallest in Southeast Asia. 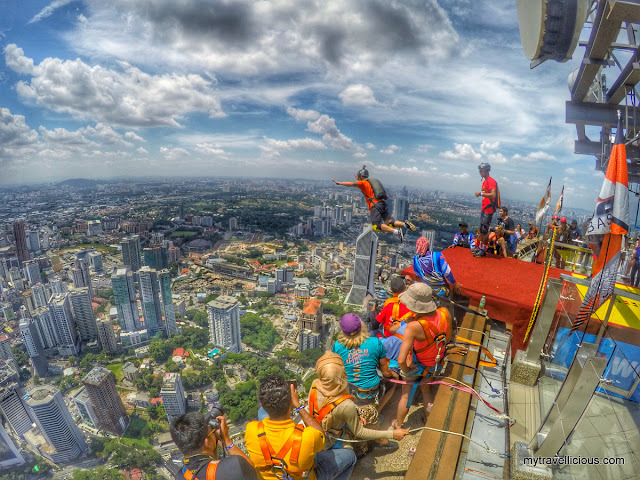 This is an annual event and hundred of base jumpers participate around the globe and 4 of the jumpers are from Malaysia. 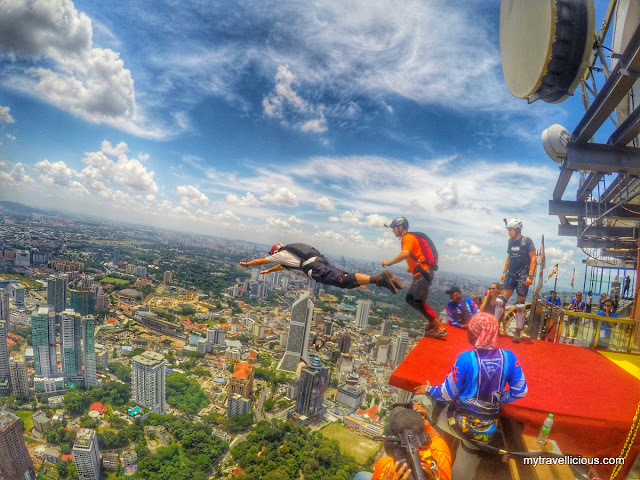 Actually, to qualify for this jump, the jumpers must had completed at least 120 BASE jumps, had made at least 20 BASE jumps within the previous 12 months, and had been actively BASE jumping for at least 2 years. 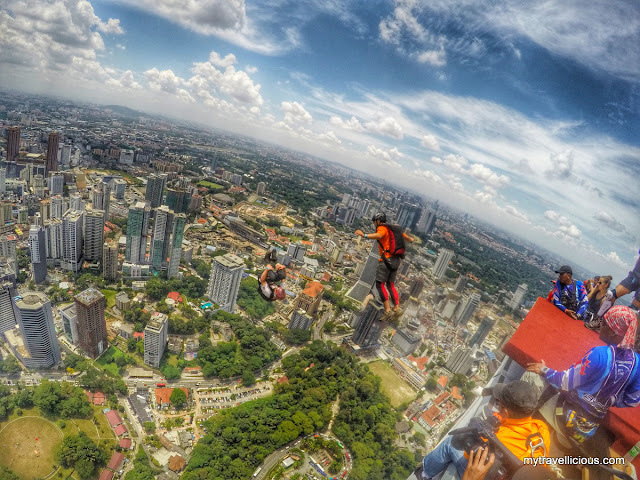 BASE is actually an acronym for ‘building, ‘antenna’, ‘span’ and ‘earth’, and jumpers hurl themselves into the void and fire off their parachute before reaching the ground. 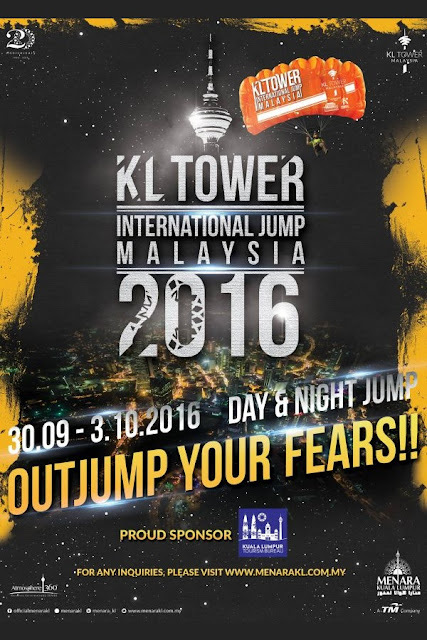 A jump might only take seconds, but it is a sight to be seen, especially when organizers take the action up a notch with night jumps and 16-man canopy train jumping. 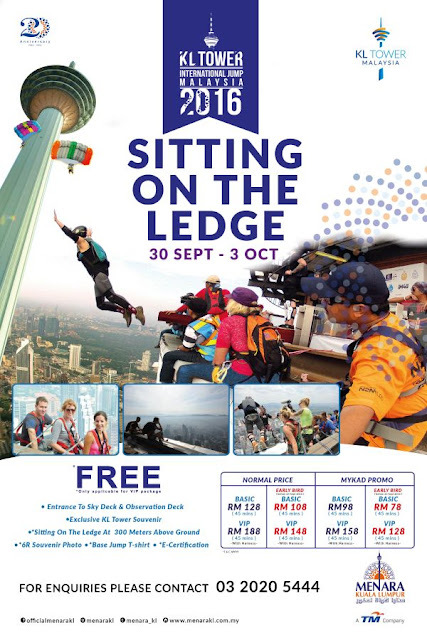 Thrill-seeking aside, the event is viewable for free from any area surrounding the tower, but for those who would like to be closer to the action, a RM128 (without harness) or RM188 (with harness) ticket gets you straight to the open deck to watch the jumpers up close and personal. 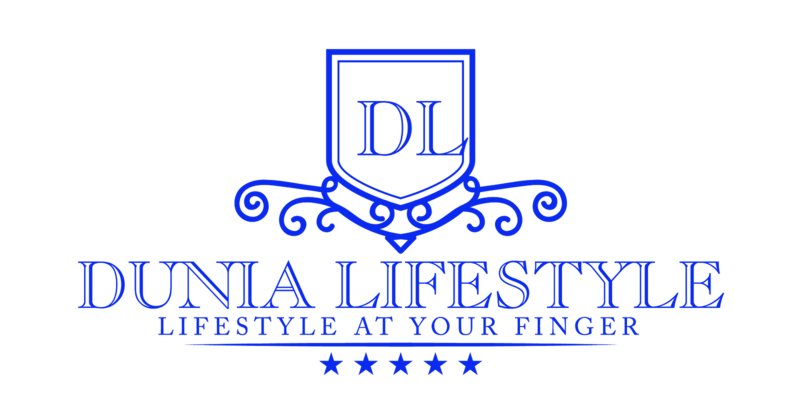 There is discount for the MYKAD holder. 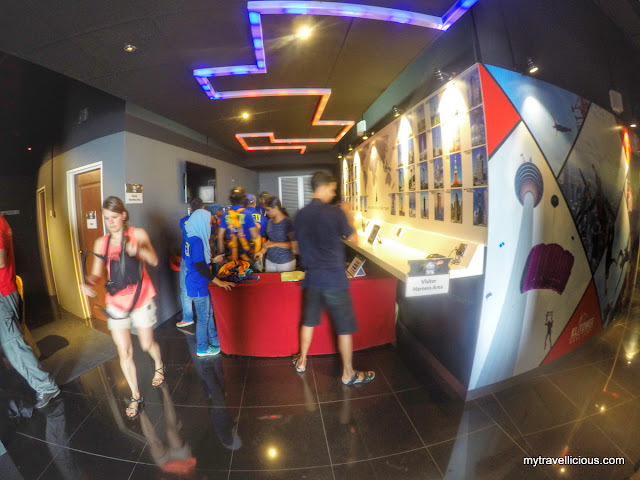 Just show your MYKAD at the counter. 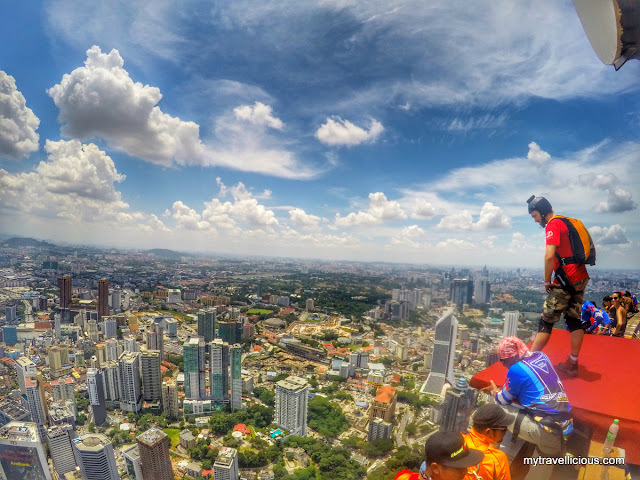 For whoever buy the VIP Package, you will get entrance to Sky Deck & Observation Deck, Exclusive KL Tower Souvenir, sitting on the ledge at 300 meters above groung, 6R souvenirs photo, Base Jump T-shirt and E-certification. 1. Do not use slipper, please use shoe because you do not want your slipper fall down. 3. 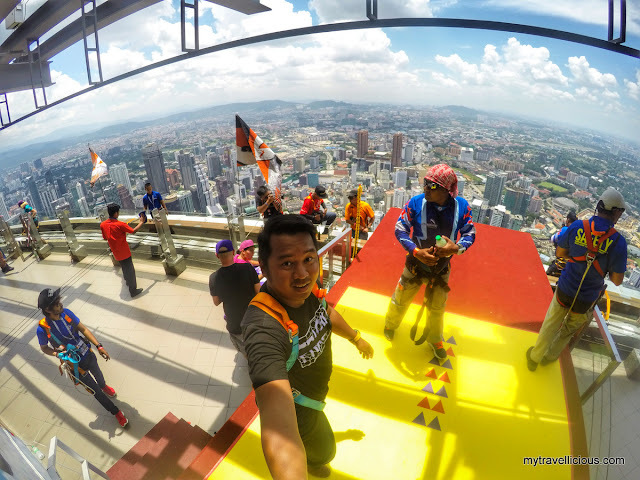 Please bring your camera/handphone securing strip that can attach to your body. 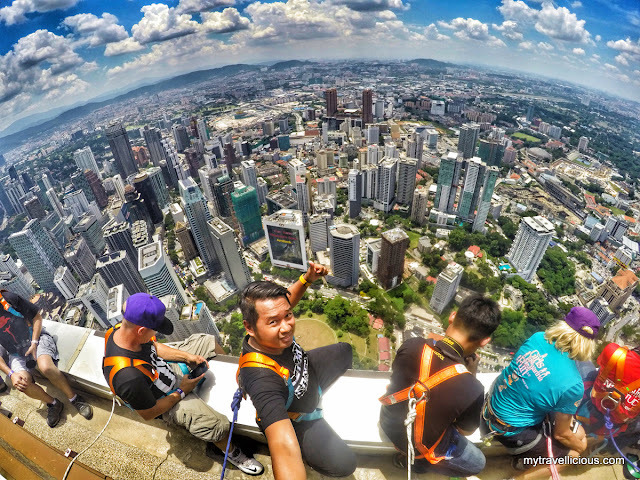 Any handphone your camera without securing strip will not be allowed to bring to the view deck. 5. Only 1 leg is allowed to hang in the air. 7. 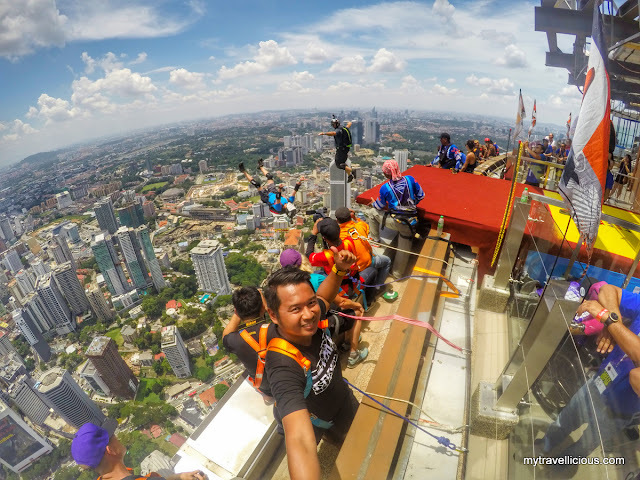 You can bring monopod but need a securing string to your hand. 8. Bring your sunglass and cover your head. 9. Do not bring the bag, any bag will be left at the harness counter. 10. 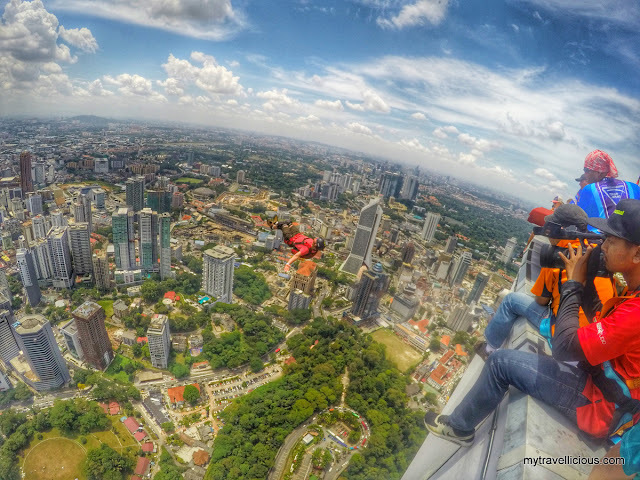 Go to the toilet before you go to the ledge. 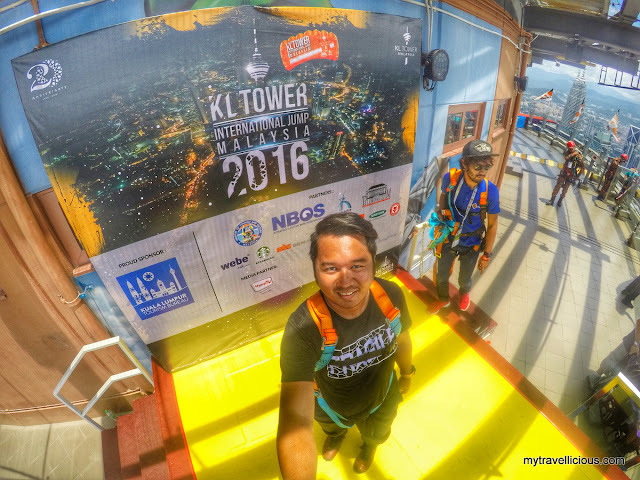 You can get off at Dang Wangi LRT Station or Bukit Nenas Monorail Station and walk to the tower. From the entrance gate of the tower, there will be a free shuttle will bring you to the lobby of the tower.